Today was supposed to be TabCo‘s big day when the curtains were pulled back to reveal a new tablet manufacturer whose revolutionary product would relegate Apple and Android to the dustbin. Well Google apparently had other ideas (not really, I don’t think they care a wiff about TabCo) and annouced their intent to aquire Motorola Mobility for $12.5 billon. Make no mistake, the Google Motorola deal is strictly about getting a hold of Motorola’s portfolio of 17, 000 patents. That combined with Google’s existing 7, 500 patents would make Google the biggest patent holder in the industry, ahead of arch-rivals Microsoft (18,000 patents) and Apple (10,000). While quality is more important than quanity when it come to patents, the Motorola acquisition would give Google some much need ammunition in bargaining against patent claims by competitors. Along with the patents, Google also would acquire Motorola’s hardware design, manufacturing and marketing assets. In my opinion these do Google no good and they would be wise in divesting them as soon as possible (after first cherry picking the best of Motorola’s engineers and designers). Competing in hardware with you own licensees doesn’t work, at least not based on the experiences of Apple (MacOS), Nokia and Palm who all tried with little success. 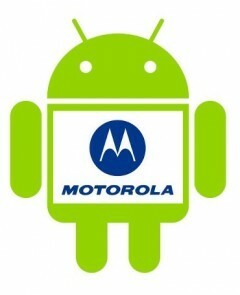 If Google were to use Motorola as its in-house manufacturing division, it would risk alienting its existing partners. Motorola alone even with Google behind it is too small to replace the manufacturing and distribution might of Samsung, HTC, LG, Sony Ericsson, ZTE, Huawei and the other Android partners. The Motorola name still has some value, especially in the US and China, and I don’t think Google will have much trouble finding a buyer for the Motorola name and other pieces of the company it doesn’t need. Google can afford to give it away but I bet one of the Chinese ODMs will be willing to pay a respectable price for the Motorola name and remaining assets. So where does that leave TabCo? Probably not in a very good place. It turns out that TabCo was a parody company created to create social media buzz for the relaunch of Fusion Garage‘s tablet business. Remember Fusion Garage? They partnered with TechCrunch’s Michael Arrington to develop a tablet that was to be called the CrunchPad. On the eve of the product’s launch Fusion Garage somehow jetisoned Arrington and company and launched the product on its own as the JooJoo to poor reviews and weak sales. 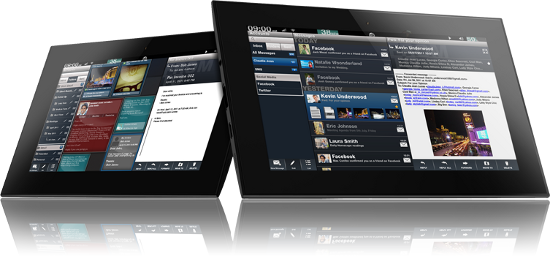 Today Fusion Garage announced the Grid 10 tablet (above) and the Grid 4 smartphone. Both run the GridOS which is a custom user interface on top of the Android kernal. In the launch demo, GridOS looked great; smooth, fast, beautiful design elements and a lot of innovative UI concepts. The Grid devices can run Android Apps as well as custom apps that take advantage of the GridOS UI. Amazon has reportedly agreed to sell the Grid devices which will come with the Amazon Appstore for Android. However no one outside of Fusion Garage seems to have ever held a Grid 10 device. Which is surprising given that preorders opened today with a Sept 15 ship date for the Grid 10. The Grid 4 smartphone is supposed to ship in the fourth quarter. I was impressed with today’s demo but I’m going to withold judgement on GridOS and the Grid devices until I get some in-depth hands on time. But frankly, tt doesn’t look too promising but given Fusion Garage’s history and the company’s limited capitalization of about $10 million. This entry was posted in Mobile Industry and tagged Fusion Garage, Google, GridOS, Motorola, software patents by Dennis Bournique. Bookmark the permalink.